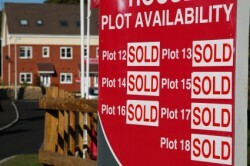 Conveyancing complaints: sign of the times? But it also urged lawyers to think twice before pushing for formal decisions rather than accepting informal resolutions to complaints, even though the figures showed that the outcome of the former was less likely to result in the lawyer having to pay the client some money. Publication of the report – which covers the year to 31 March 2014 – was delayed by several months because of the issues around the expenses of former chief ombudsman Adam Sampson and other financial issues at LeO. Residential conveyancing accounted for a fifth of all complaints – up from 15% – and commercial conveyancing a further 2%, while 17% of complaints were about family law. “This may suggest an upturn in the housing market and, if it continues, could be a sign of things to come,” said the report. As in previous years, the next most complained-about areas of law were wills and probate (13%), personal injury (10%) and litigation (9.5%). In all, the number of ‘contacts’ received by LeO fell slightly to 69,500, of which 19,450 were complaints. After stripping out the 10,541 where the complainant had not yet used the lawyer’s complaints system or were out of time, and the 586 resolved without investigation, 8,323 complaints were formally accepted by LeO, a marginal drop on last year. But another 704 were then closed for not actually being within LeO’s jurisdiction. The service resolved 8,055 complaints during the year, an increase on 2012/13, which LeO attributed to greater efficiency. No poor service was found in 48% of cases. The proportion that required a formal ombudsman’s decision continued to go up, to 38%. “In the majority of cases it is the complainant who requests a decision by an ombudsman,” the report said. “This is consistent with some evidence from other ombudsman schemes that there has been an increase in complainants’ propensity to pursue their complaints as far as possible. There was a financial remedy in 40% of cases which went to an ombudsman’s decision, but in 67% of those cases resolved informally at a lower level. Most of the financial remedies were less than £1,000. LeO’s costs continue to fall, with the benchmark cost per case dropping 10% to £1,950, with further cuts planned for this year. Seems to me LeO ought to determine which applications to accept against more stringent criteria as 48% is staggeringly bad. Where an offer has been made and the complainant wishes to push the complaint to conclusion should not a fee be charged?